Fifty Hollywood Directors introduces the most important, iconic and influential filmmakers who worked in Hollywood between the end of the silent period and the birth of the blockbuster. By exploring the historical, cultural and technological contexts in which each director was working, this book traces the formative period in commercial cinema when directors went from pioneers to industry heavyweights. This is an indispensible guide for anyone interested in film history, Hollywood and the development of the role of the director. 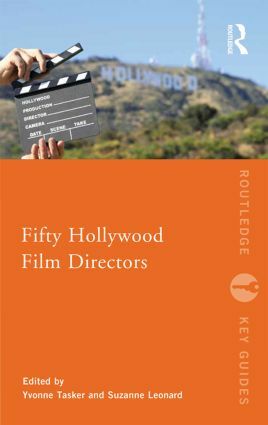 "This work introduces 50 important and influential Hollywood filmmakers from the period between the end of the silent era and the ascent of blockbuster film… The work will help readers better understand the key developments in Hollywood film history by identifying the collaborative relationships, the enduring legacy of the director's role, and the far-reaching influence of these talented individuals." Yvonne Tasker is Professor of Film and Television Studies at the University of East Anglia. She has written, edited and co-edited six books on popular cinema and is the editor of Fifty Contemporary Film Directors.